If your sport requires you to ride on concrete, you’ll need protective gear such as elbow pads and knee pads. Longboarding is unique that it basically requires that you use the hard shell pads. The best skateboard knee pads may not be enough for longboarding activities. Compression or support braces are other options, but using these alone will not give any protection. 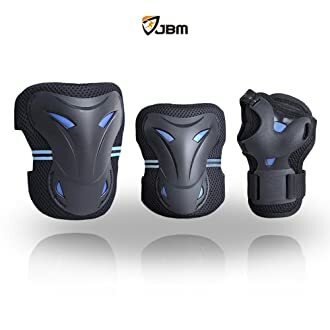 Looking for the best longboard knee pads doesn’t have to be a daunting task Understand that longboarding protective gear is something you’d want to invest in immediately as soon as you acquire your first board. The fact of the matter is, you’ll need protection when you’re surfing the sidewalks or bombing hills, you will skid out – no doubt. Information is your key in choosing the best longboarding protective gear. Here we have compared the best of the best longboard knee pads you can find on Amazon. Read on to make that informed decision that will match the standard of protection you need on your rides. Knee damage is the most common injury on longboard and skateboard related activities. This is why you must choose the right one for your needs. Among the best longboard accessories, the knee pads should be considered the most important one. 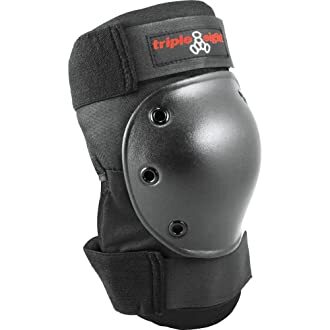 Knee pads are sold in pairs and sometimes in combination with elbow pads and wrist guards, depending on the seller. Hard plastic outer shell is the way to go when choosing your longboard knee pads. Most, if not all activities on your ride involves running over concrete. The plastic shell absorbs the impact together with the protective inner foam. On high speeds, the plastic shell will not get snagged on rough concrete terrain causing it to get undone. Instead, it will slide over and get scratched. Kneepads with outer foam materials may not provide the same protection but good enough for wooden ramps used in skateboarding. Because you can’t do a test fit when buying on Amazon, it also helps to get an actual measurement on your knee size by wrapping a tape measure from the back of your knee to the highest point in front. Do this on an outstretched leg. The Pro Knee provides heavy protection in extreme environments. Trusted by the pro skaters and top athletes in the world. It features a three-panel construction with dual density foam and lock-in replaceable cap. If you are looking for the best longboarding knee pads, this should be on top of your list. Although some find it a bit bulky, it will surely save you on big slams. It may be a bit pricey, but it sure is a lot cheaper than having knee surgery. Equipped with hard caps, the Protec Jr. Combo is perfect for the budding skater in the house. 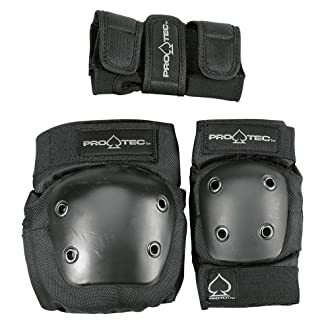 With its pro design knee pads, you’ll have peace of mind that your kid won’t damage his knees as he learns how to skate. The package of skateboard elbow and knee pads is worth every penny that should boost the confidence of your future champion skater. There are fitting issues for kids with bigger built, but the protection does not compromise. 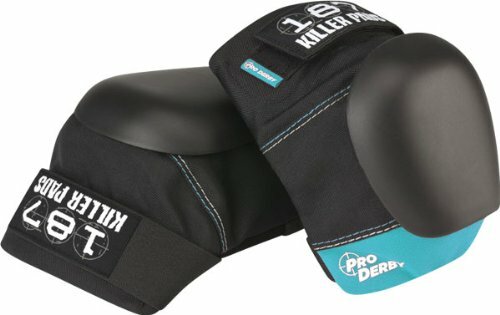 The Pro Derby Knee Pad is all about comfort and durability and is considered one of the best longboarding protective gear. It does not lack any padding, and the straps stay on secure. It also features interchangeable plates, and they are very easy to clean. If you hate bad smelling pads, this is the one for you. This is definitely a good-looking longboarding protective gear. The design on the caps makes it look mean and futuristic. The sizes indicated could be a little larger than you may expect. The set offers complete protection, from knees to elbows and wrists. It’s constructed with a breathable polyester sleeve that wicks away moisture. It can also be used with other related outdoor riding sports. 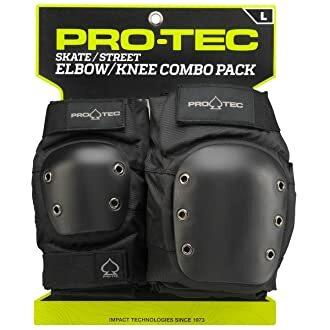 This Pro-Tec product is for adult and professionals who prefer skateboard knee and elbow pads they can rely on. 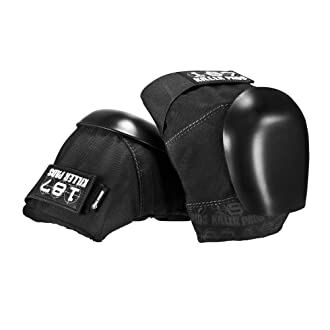 It boasts a full coverage ABS hard caps and EVA cap soft foam that absorbs and reduces impact during splashes. The hook and loop straps assure you that the pads stay in place and provide you with the right protection where you need it. Rated as one of best skateboard knee pads in the market, the Triple Eight is the lightest of all pads in this comparison. It is well ventilated that keeps your perspiration away. It’s a one size fits all for an adult that many encounter fitting issues either it’s too big or too small. The wide straps do compensate for the imperfect fit though. When choosing your knee pads for your longboarding rides, always put reliability on top of your consideration. Comfort should be next, and by comfort, it also means you still retain your full range of motion. Not only knee pads but one should also invest in best longboard shoes for that extra comfort as well as safety. Price is not so much a factor especially when you’re aiming to turn pro anytime soon. Buying quality pads will always be cheaper than any knee replacement procedure. This Amazon list we have outlined here should help you out in your purchase. Ride safely.